Using NASA's Spitzer Space Telescope, astronomers have confirmed the discovery of the nearest rocky planet outside our solar system, larger than Earth and a potential gold mine of science data. Dubbed HD 219134b, this exoplanet, which orbits too close to its star to sustain life, is a mere 21 light-years away. While the planet itself can't be seen directly, even by telescopes, the star it orbits is visible to the naked eye in dark skies in the Cassiopeia constellation, near the North Star. Only a small fraction of exoplanets can be detected transiting their stars due to their relative orientation to Earth. When the orientation is just right, the planet's orbit places it between its star and Earth, dimming the detectable light of its star. It's this dimming of the star that is actually captured by observatories such as Spitzer, and can reveal not only the size of the planet but also clues about its composition. Spitzer followed up on the finding, discovering the planet transits its star. 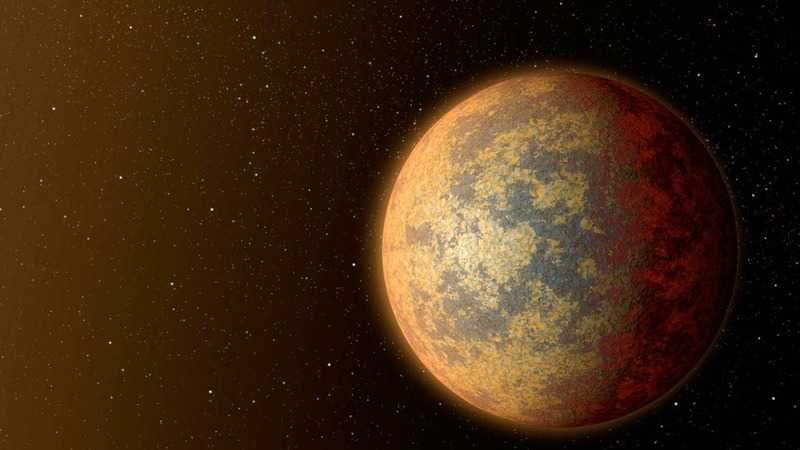 Infrared measurements from Spitzer revealed the planet's size, about 1.6 times that of Earth. Combining the size and mass gives it a density of 3.5 ounces per cubic inch (six grams per cubic centimeter) — confirming HD 219134b is a rocky planet. JPL manages the Spitzer mission for NASA's Science Mission Directorate in Washington. Science operations are conducted at the Spitzer Science Center at the California Institute of Technology (Caltech) in Pasadena. Spacecraft operations are based at Lockheed Martin Space Systems Company in Littleton, Colorado. Data are archived at the Infrared Science Archive, housed at Caltech's Infrared Processing and Analysis Center.